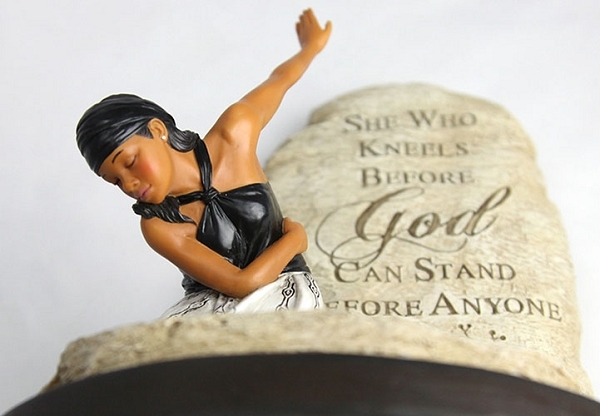 This brand new African American figurine is from the She Who Kneels Collection. 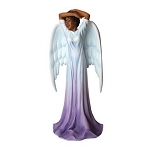 I purchased this figurine for my sister for Mother's Day and she loved it. I received this figurine a day after I ordered it which I did not expect. This is what you call great delivery service. I was impressed with the figurine details and the colors were the exact color as it was online. 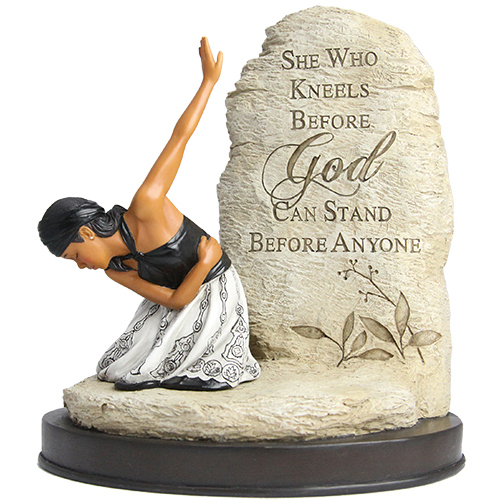 I wanted to order one for myself but I see it is now out of stock--bummer.